Secret Buddha Garden is hidden away high in the hills in Koh Samui’s interior, offering majestic views and an unusual collection of statues amid lush jungle surrounds. 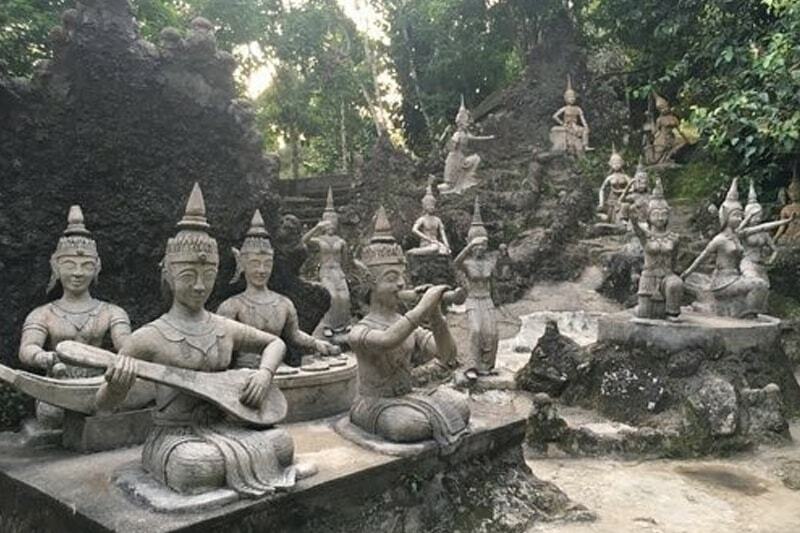 The gardens are a creation of an old Samui fruit farmer, Nim Thongsuk, who in 1976 began erecting several statues and temples around his family’s verdant land. The statues depict a number of animals, deities and humans in various poses, including one of Khun Nim himself, in a relaxed position sitting on a rock. Khun Nim continued to work developing his garden until his death at the age of 91. Secret Buddha Garden Highlights Secret Buddha Garden, also known as Heaven’s Garden or Magic Garden, is the kind of place where each visit brings some new discoveries. With statues of all shapes and sizes scattered around the grounds, a wrong turn or a closer look behind a tree may yield yet another hidden surprise. During his working years, the Garden’s founder Khun Nim was known as an innovative durian farmer, who helped Samui become famous for this prized pungent fruit. Upon his retirement he opened his family’s land to the public and assembled a team to develop the garden, sculpting many figures representing mainly Buddhist folklore. 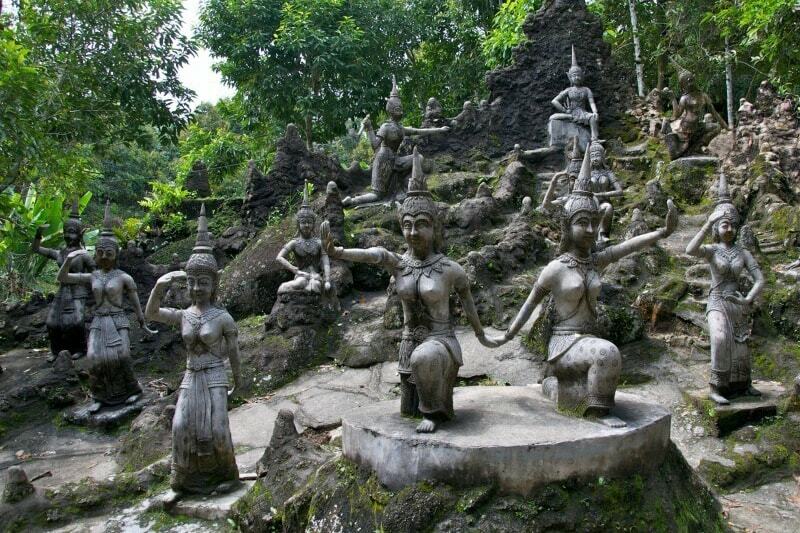 Each statue has a story to tell, and most Thais will know the meaning and mythology behind these evocative works of art. Secret Buddha Garden sits atop the Tar Nim Waterfall peak. The views from within gardens and on the road leading up to it are spectacular, with many stops to enjoy the island panorama along the way.